Testing devices over extreme temperature ranges is quite common these days. 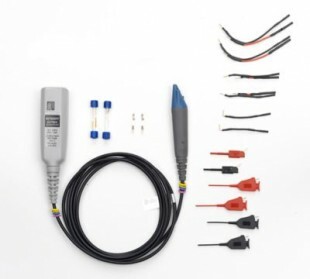 The N2797A single-ended active probe is the industry’s first low-cost high input impedance active probe with rugged probe tips for environmental chamber testing of ICs and devices. It gives the ability to probe signals at drastic temperature swings ranging from –40 to +85 °C. The probe provides 1.5 GHz of bandwidth and a 2 m long cable. The N2797A is equipped with a white LED headlight to illuminate the circuit under test for better visibility while hand browsing. The probe is powered directly by the InfiniiVision and Infiniium AutoProbe interface, eliminating the need for an additional power supply. The probe also comes with a number of accessories that allow for easy connection to the circuit under test. 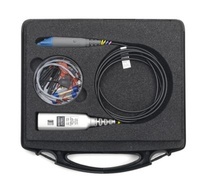 Order the N2798A accessory kit for probe accessories replacement.